A man has been charged following a knife-point robbery in Clayton-le-Woods. At around 8.45pm on Thursday, November 2nd two members of staff were working at the Bargain Booze shop on Preston Road when a man entered carrying a knife. He threatened the workers before taking cash from the till and cigarettes from the display. Following an appeal a man was arrested and charged with robbery. He is Christopher Leeming, 34, of The Martindales, Clayton le Woods. 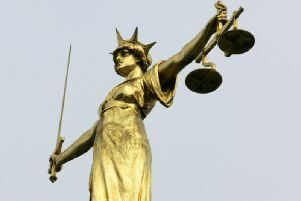 He will appear before Preston Magistrates' Court on Monday. A second man, who remained outside during the robbery, is described as wearing dark clothing and appeared to have a metallic walking stick. He remains outstanding. Anyone with information about the incident is asked to contact police on 101 quoting log reference 1488 of November 2.